I think I was trying to be too safe when I picked out our bedding for our new bed when we got married. 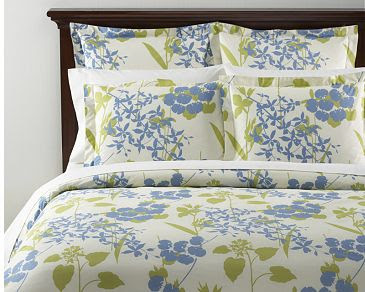 It's not even a year old, which makes me feel bad, but I really like this bedding from PotteryBarn. I really should have been more risky when I was registering for my wedding. I for one am glad you were a little conservative when you picked out our bedding. With that crap every time I went to sleep I would feel less and less of a man.